People see stage hypnosis shows and think that people are made to do things that they don’t want to do and that it’s mind control. As all hypnosis is self hypnosis the subconscious will not accept commands or requests against the persons will, values or personal beliefs. So what happens at a stage hypnotist show, because it does look like the Hypnotist is making people do what they don’t want to do? Stage hypnotists may suggest that events are beyond the subject’s control. In truth, however, the performer is very careful to select only those people who can be trusted to put on a good show. People who like to be seen, stand out and act differently. The hypnotist does a series of tests to pick the people the hypnotist wants to work with. The hypnotist is actually not looking to see who can be hypnotized. Because everyone with an average IQ can be hypnotized. The hypnotist is looking for people who will do what they are told and are willing to do silly things. People who are uncomfortable being the centre of attention do not make for good entertainment, so they are highly unlikely to end up on stage. The stage hypnotist’s success depends on bringing an agreeable band of willing and extroverted people before an audience and helping them to put on a show. As such, stage hypnosis is no more manipulative or exploitative than karaoke. In essence, the stage hypnotist he is not making them do what they don’t want to do. He is just giving them the freedom to do what they want to do. And that’s great because that’s exactly the same as what we’re doing here. We’re not making you quit cigarettes or make life changes against your will. You want to be here, you want to quit cigarettes you want to make changes to your every day life. So we’re helping you do what you already want to do. 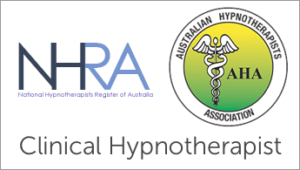 Hypnosis is an extremely powerful way for empowering you to do what you already want to do – quit smoking etc.